Talking Tots provides flexible, fun and affordable sessions for nurseries, pre-schools, Children's Centres and other childcare settings. The class activities also support schools in meeting many aspects of the Early Years Foundation Stage (EYFS) framework and Curriculum for Excellence. Communication is one of the most important skills that children ever learn, helping them with everything from making new friends to reading and writing. At Talking Tots, we know that children learn best through play, so our early years programme focuses on providing activities and experiences that engage children’s senses. We use exclusive Talking Tots learning activities, individual props and group games to ensure children are fully absorbed in the activities. Between the ages of two and three, toddlers learn hundreds of new words, gestures and sounds. But even the chattiest toddler has a lot to learn about communication. In Sprinters, children take part in carefully designed games and exclusive activities that promote core communication skills such as listening and taking turns. Throughout the year, children will develop their semantic skills, auditory memory and the ability to sequence stories. Each friendly and supportive session incorporates individual props and games, along with brightly coloured picture cards, that encourage children to explore words and early language. These skills are the very first building blocks of literacy. Sparklers is a fun-packed class designed especially for early years children from 3 years and above up to and including Year 1. Research shows that children learn to read only once they have good phonological awareness, so an understanding of and an ability to manipulate the sounds and syllables that are used in language. 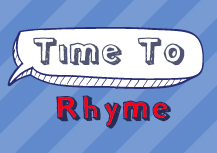 Talking Tots uses exclusive games and learning activities to help children become confident with sounds, words, rhyme and rhythm - vital pre-literacy skills that will help children when it's time to learn to read and write. The sessions also combine exciting group and individual activities to help boost the concentration and social skills that children will need in the classroom. Saves you time and leaves staff free. No planning necessary, and you don't need to invest in equipment, we bring ours! Your teachers join in and pick up fresh ideas to use in the early years setting. 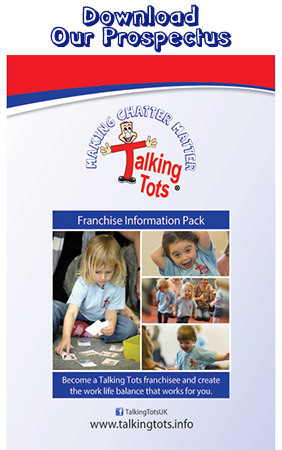 Adds value to your early years provision by offering Talking Tots to prospective families. 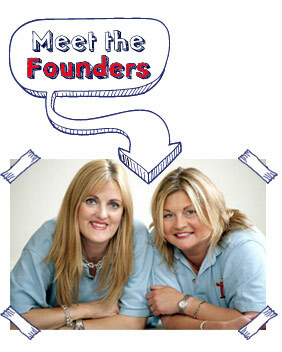 Satisfies the early years goals helping to make your job easier. The progressive programme benefits your children's crucial early learning, as well as being huge fun! Talking Tots provides the perfect combination of fun and learning, helping young children to become skilful and confident communicators. To find out more about giving your early years setting the Talking Tots difference, get in touch with your local class leader.